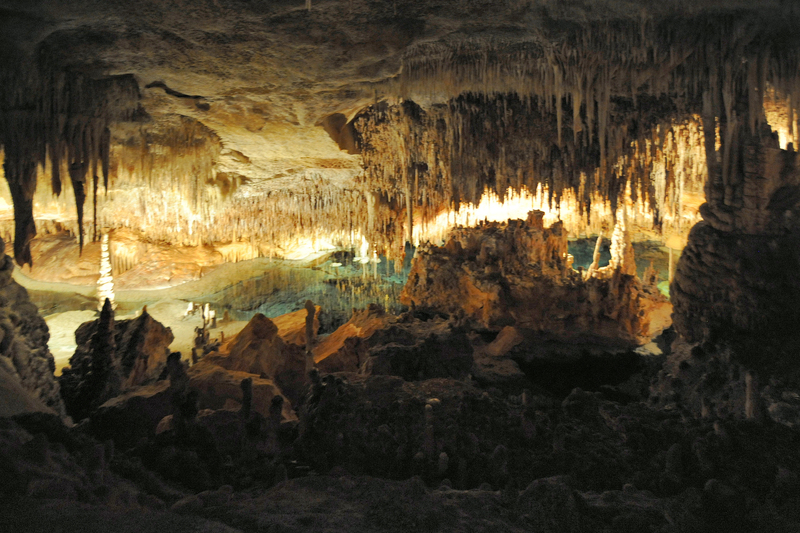 The Dragon Caves (Coves del Drac / Cuevas del Drach) in Porto Cristo, on the island of Majorca, is a network of four limestone caves with exceptional dimensions extending over a length of about 2 400 m, at a depth 25 m below the ground surface. 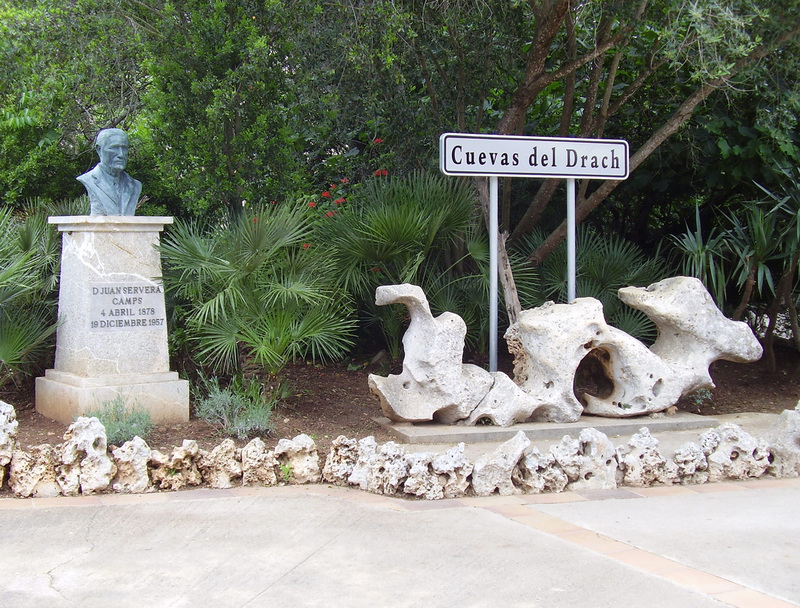 The Dragon Caves (Coves del Drach in an old spelling) is located 65 km from the city of Palma. 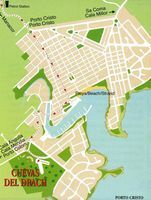 To get there from Palma take the Ma-15 road to Manacor and the Ma-4020 to Porto Cristo and follow the road signs to the "Coves del Drac". 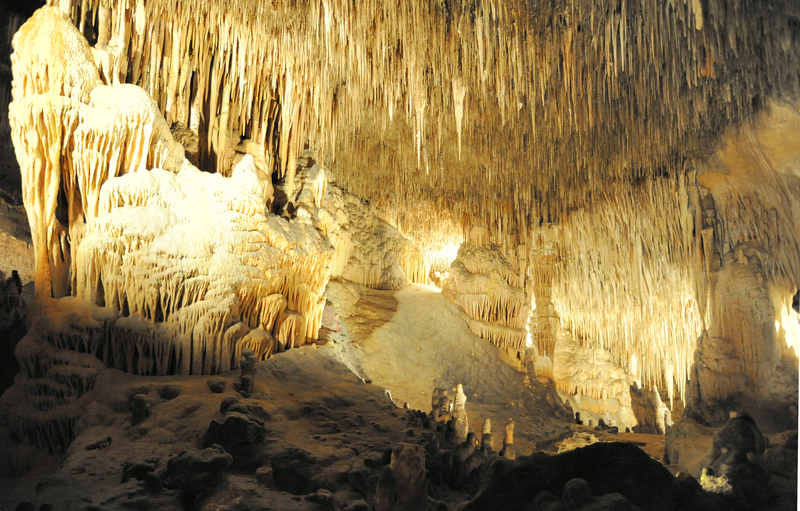 The cave entrance is close to the Avinguda d’en Joan Servera Camps, a road leading towards the coast to the Torre dels Falcons. 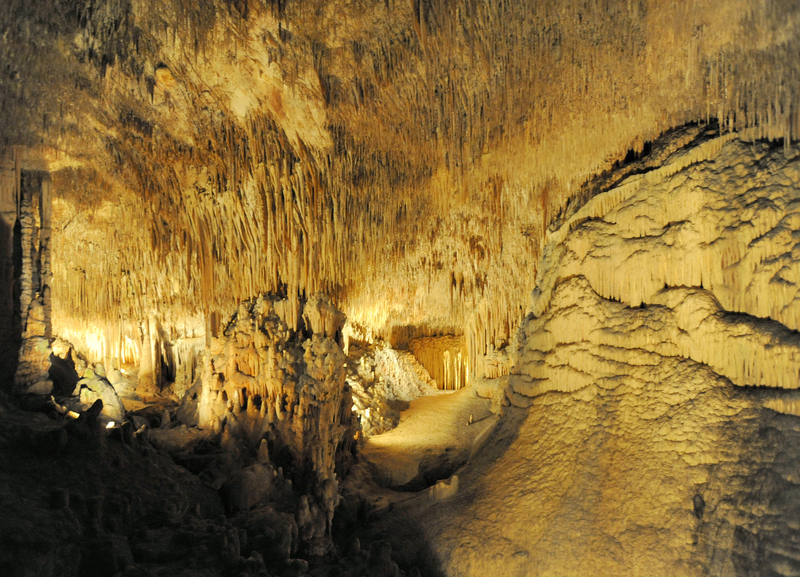 In 1922, the Majorcan Joan Servera Camps began to exploit the caves, and spent large sums of money in the purchase of land without much value at the entrance of the cave. 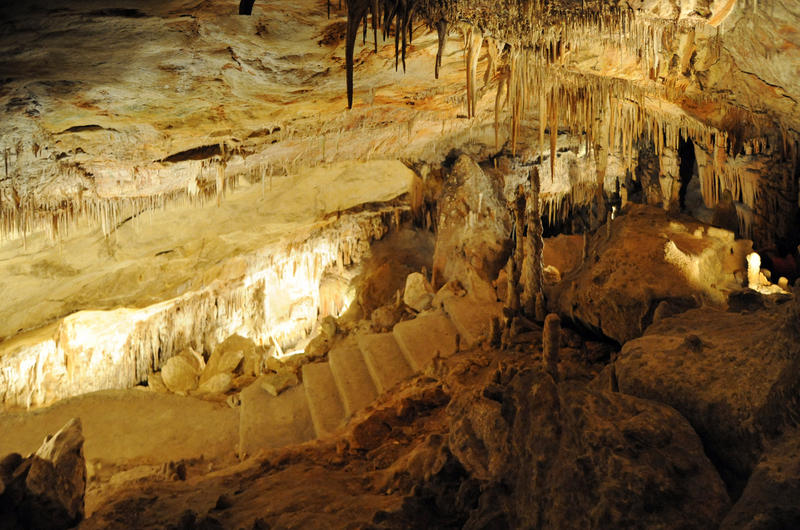 In 1929, we opened a new entrance to the cave. 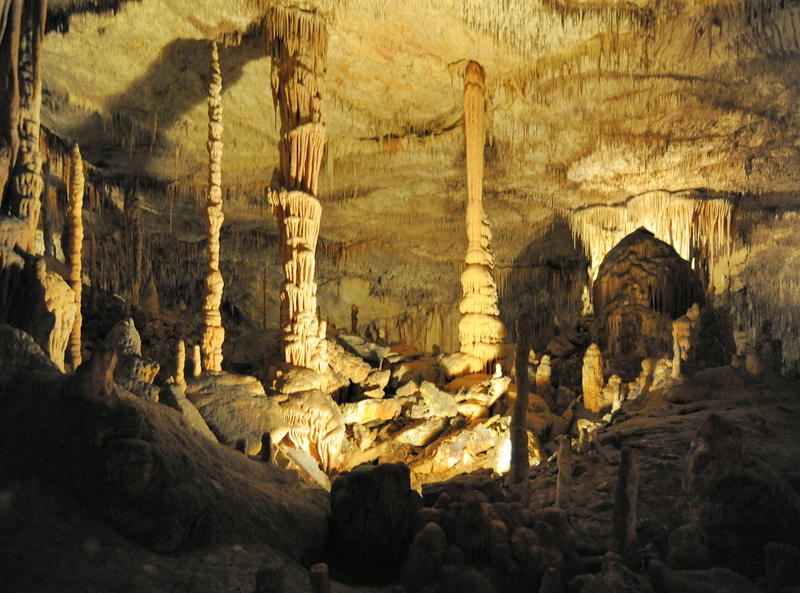 In 1935, a tour through the caves of Dragon was traced for visitors, leading to the largest underground lake caves, Lake Martel. 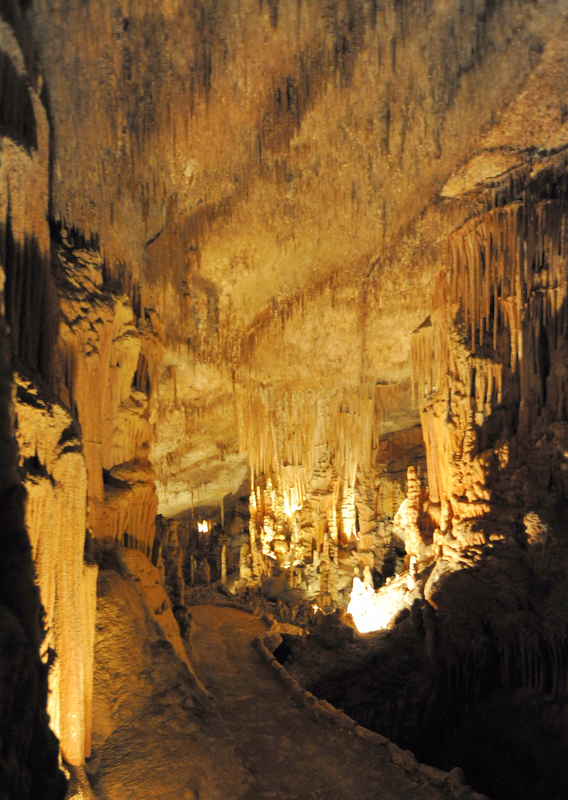 The vast cave where the Martel lake was converted into an auditorium seating about 1,100 visitors to attend a musical interlude. 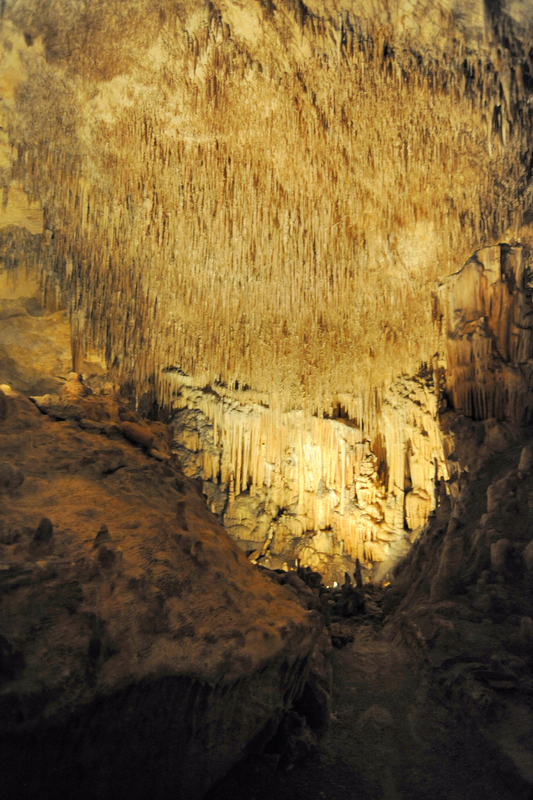 The spectacular natural formations, stalactites and stalagmites, which bear the names of objects they are supposed to evoke, are staged dramatically by the play of light made ​​by the Catalan engineer Carles Buïgas i Sans. 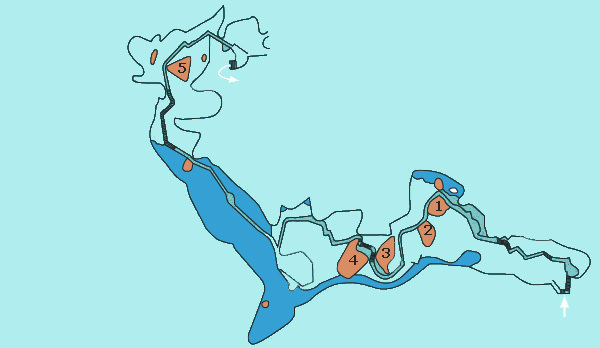 The Dragon Caves are discovered along a route of 2 km of surprising beauty, thanks to the presence of six underground lakes. 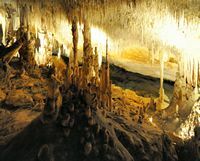 These four caves, which are interconnected, are named "Black Cave" (Cova Negra / Cueva Negra), "White Cave" (Cova Blanca / Cueva Blanca), "Cave of Louis Saviour" (Cova de Lluís Salvador / Cueva of Luis Salvador) and "Cave of the French" (Cova dels Francesos / Cueva de los Franceses). 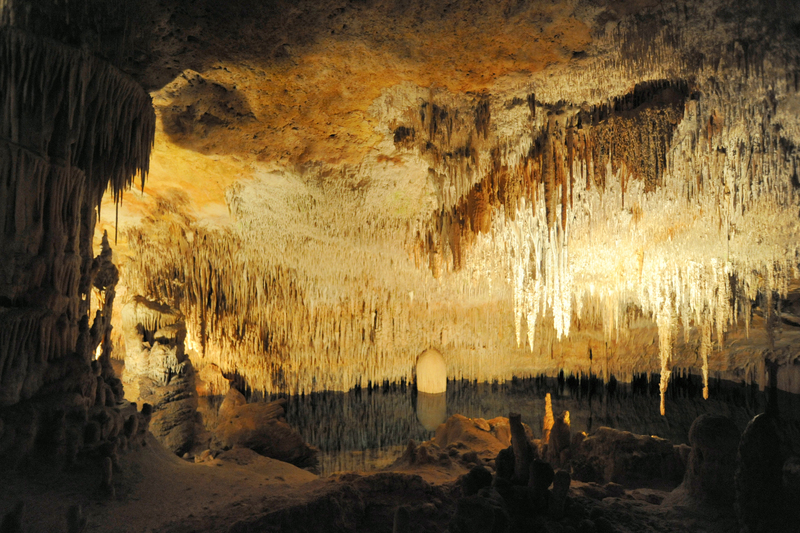 The marine caves seems to be no doubt: they were carved into the limestone cliffs by the action of the water inlet of the Mediterranean Sea, several lakes also have a slightly salty water. 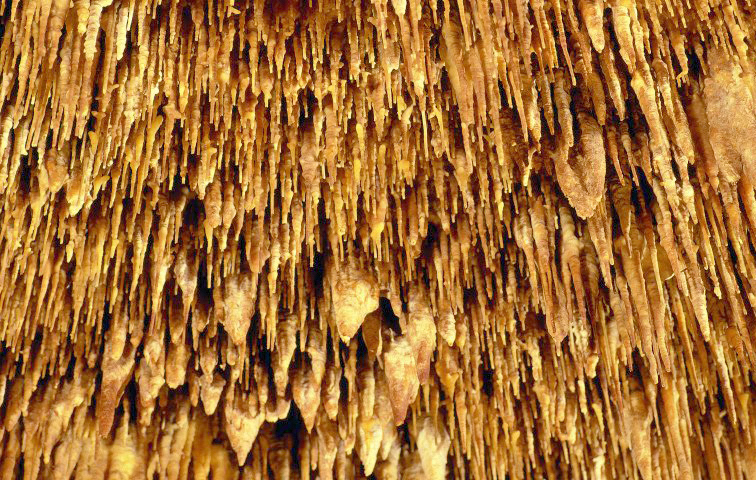 However, the caver Edward Martel, who explored in 1896, thought the digging caves of Dragon was also infiltration of rainwater through the soil subsidence and dislocation of Miocene limestone, very tender to where the abundance of concretions. The vaults are amazing effect, lined with countless needles of ice with sharp spikes. 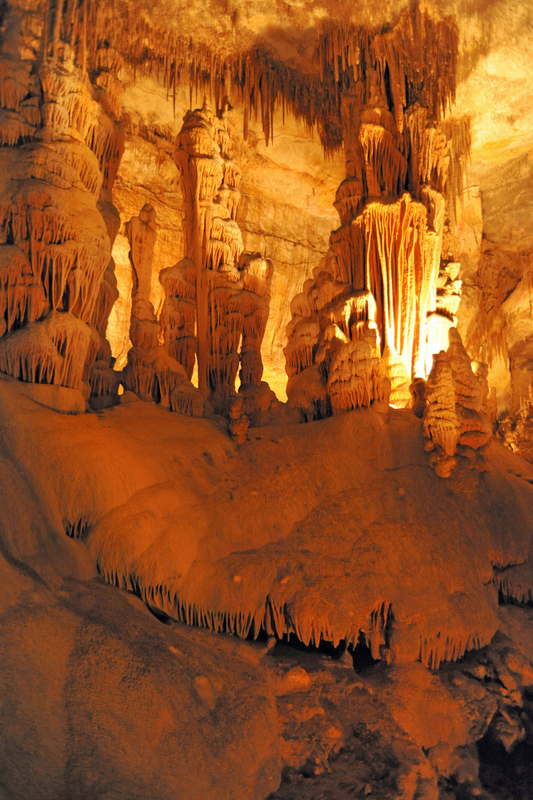 The formation of these caves could go back to the Miocene. The clear lakes and a very clever lighting complete this strange landscape. 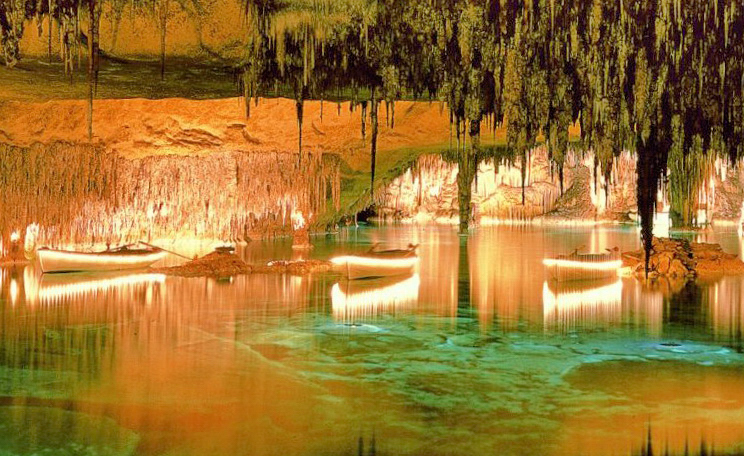 One of the caves of Dragon has the largest underground lake in Europe and one of the largest underground lakes in the world, Lake Martel (Llac Martel / Lago Martel), which is 177 m long, 40 m wide and reaches a maximum depth of 9 meters. The waters of the lake have a temperature of 17 º C and is lightly salted, which proves that there is a connection with the Mediterranean Sea. 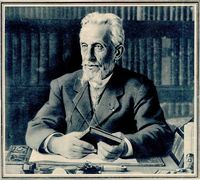 The lake is named after the French caver Édouard-Alfred Martel, who succeeded in 1896 to explore the cave system of about 1300 meters, and the map. On the other side of the lake is the "Cave of the French". The vast room where Lake Martel was arranged in an amphitheater for the public to attend a musical interlude, an illumination system presents the spectacle of a simulated dawn on the lake. 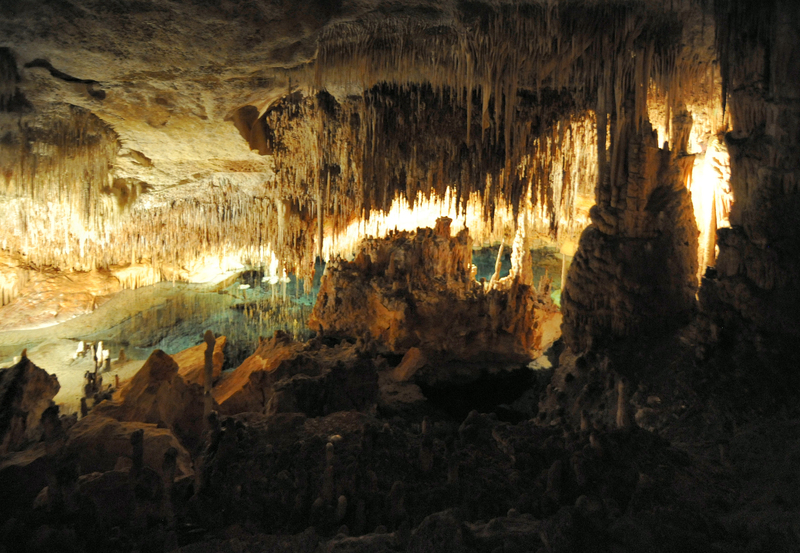 There are 3000 years, the inhabitants of Majorca already knew about the Caves of the Dragon. 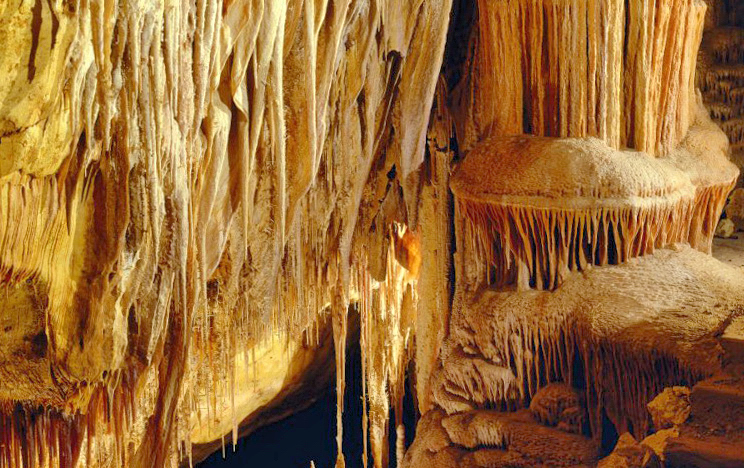 Prehistoric discoveries near the cave revealed the presence of a talayotic establishment, but also the exploration of the cave. 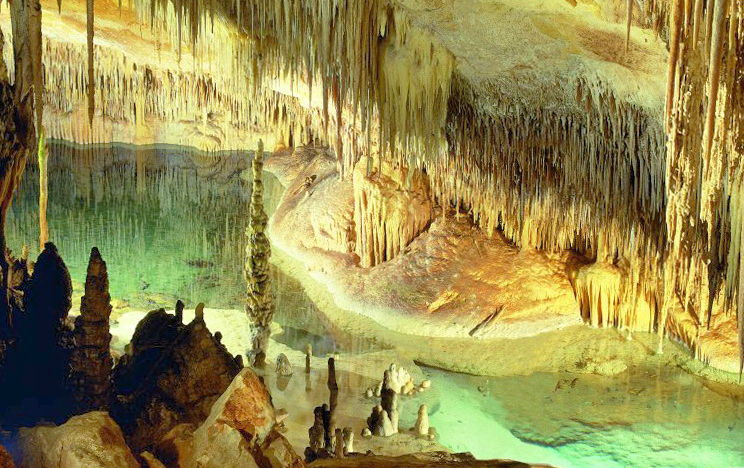 Later, pirates and Templars also used the cave, but not the first inhabitants of Majorca, or hackers have never ventured more than 200 meters into the cave, far enough so that the output is no longer visible. In 1338, by order of the Governor of Majorca, a group of soldiers was responsible for finding the treasure that the Templars could conceal after the fall of the powerful Templar Order. 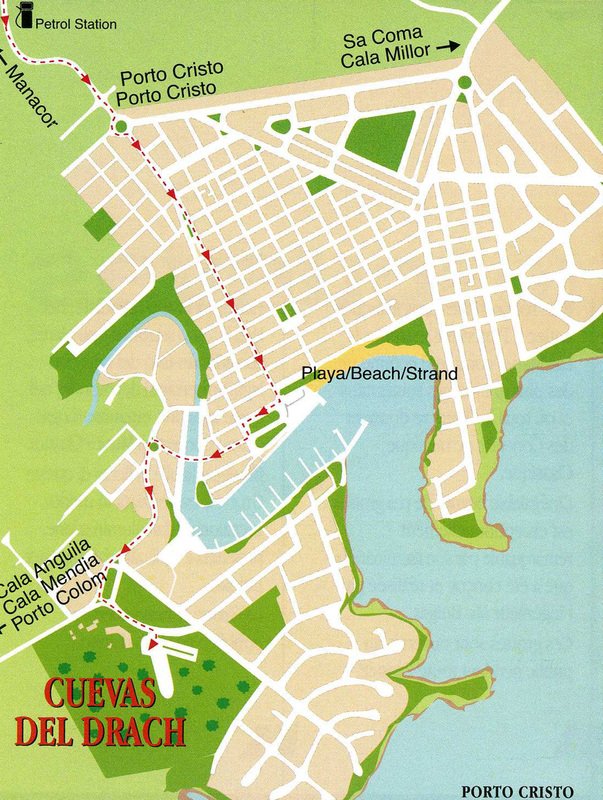 The only result of these expeditions were the first written references to the caves, as well as maps, in a letter Rover Rovenach, governor of the island, the bailiff of Manacor. 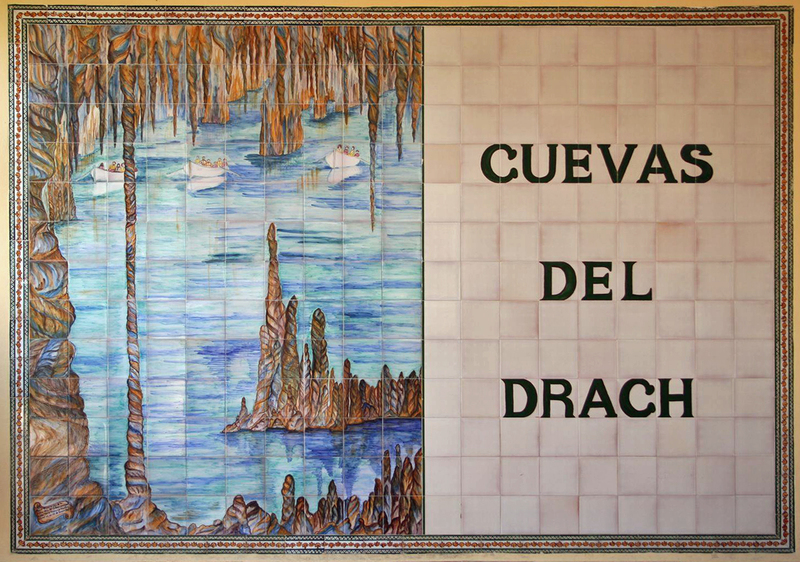 In 1878, when some Catalan explorers are lost for three days, the Caves of the Dragon made the "one" newspaper. 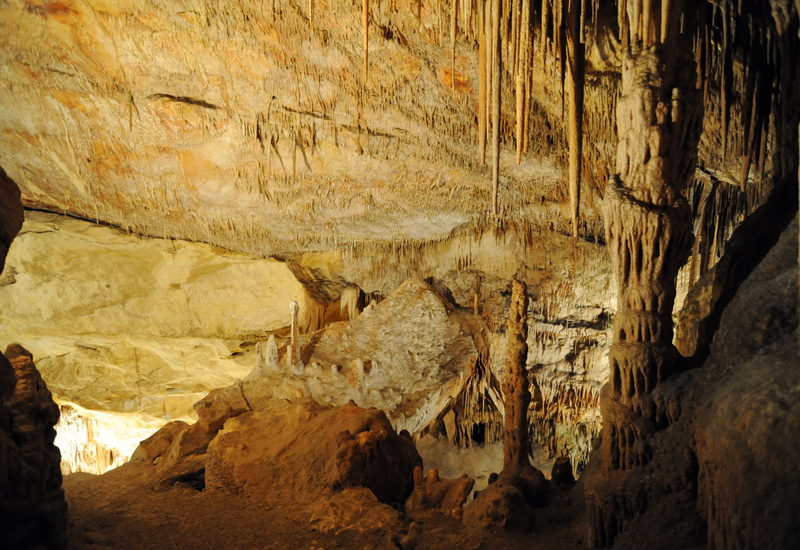 The explorers were found unharmed, but in their desperation, they had engraved on the cave wall the words "Pas esperança ha salut" ("No hope of salvation"). 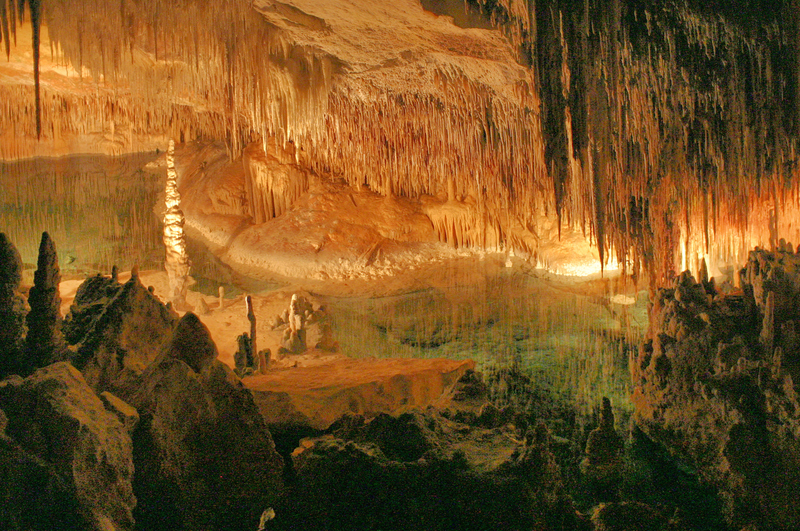 In 1896, the French lawyer Edward Martel, father of caving, and his foreman Louis Armand, were invited to explore the basement of the island of Majorca, by the Archduke Luis Salvador, which funded the research. Edward Martel studied thoroughly and discovered cave system at 1300 m inside the caves, a huge lake with a purity of crystal water at a constant temperature of 20 °C. The Lake - 177 meters long, 40 meters wide on average and a depth that reaches 9 meters - now bears the name of Martel. 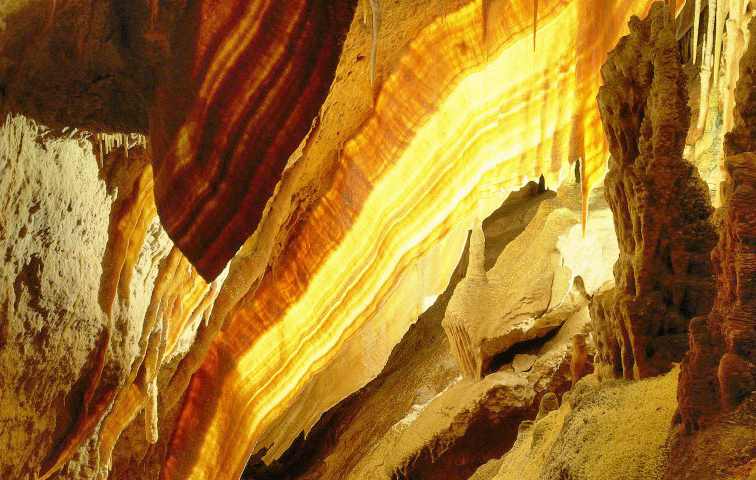 He also discovered, on the other side, the cave called "Cave of French". 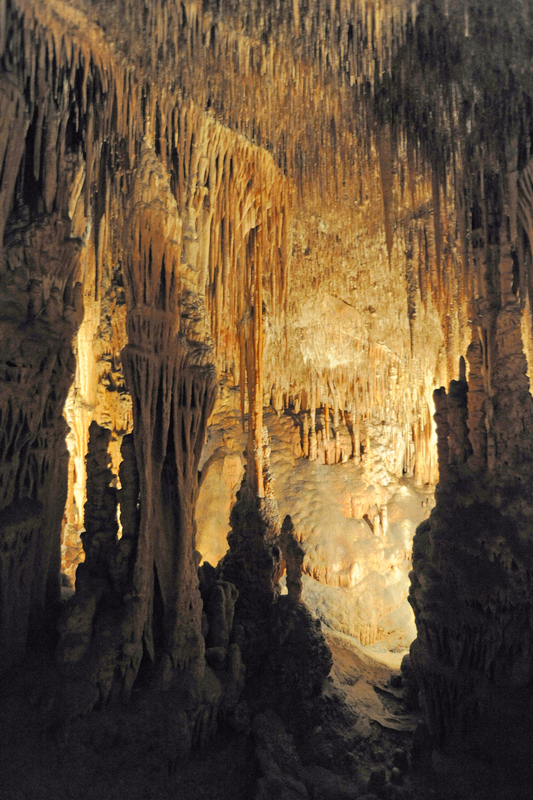 "On all sides, around, in front and rear, marmoreal waterfalls, organ pipes, curtains, lace and shiny pendants down the walls and vaults, out of sight. " 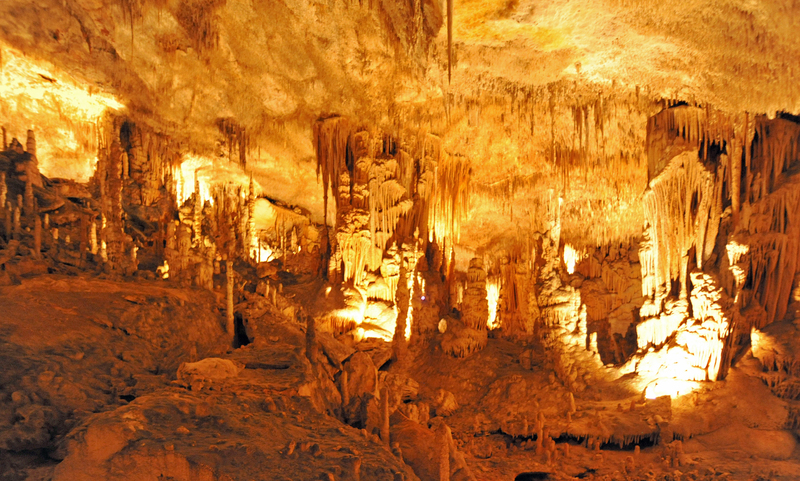 After the discovery of Lake Martel, the Dragon Caves became famous. 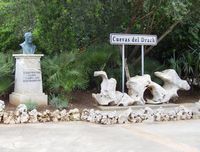 Dragon Caves are victims of their success during the high season the site attracts thousands of visitors daily, and we should expect to queue, so visits are channeled and do not allow loitering, personal, like picadores, undertaking to circulate backward and prohibit visitors to take photographs, probably in order to sell out some postcards and photos that nobody buys. 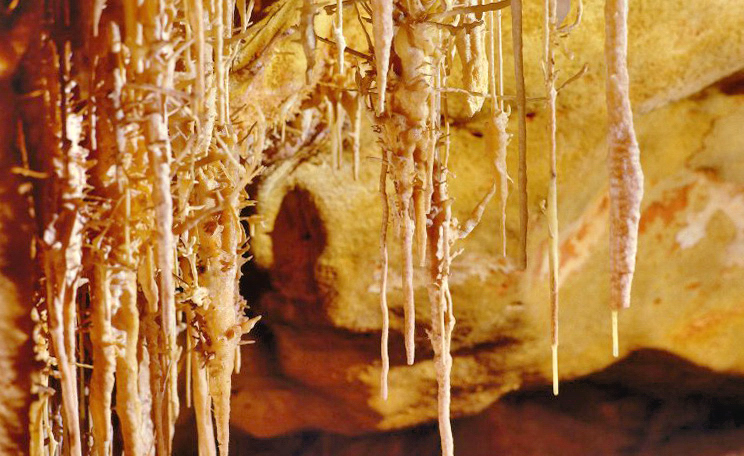 This organization leaves a feeling of frustration that poorly compensates the magic of stalactites and stalagmites. 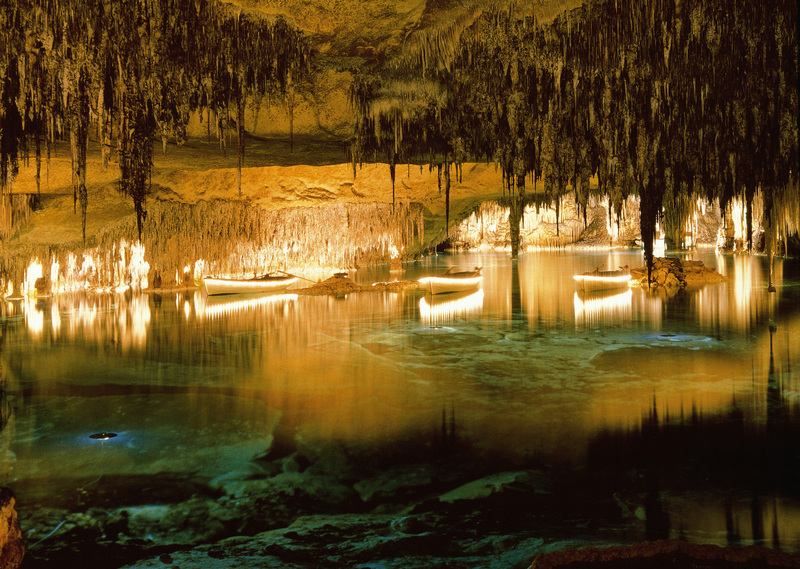 The tour of the caves takes about an hour and includes a short concert of classical music performed by musicians living on boats gliding on Lake Martel, directory, parts Caballero, Chopin, Offenbach and others. After the concert, visitors who want to can themselves perform in a boat ride across the lake and the rest can go over a small bridge. April 1 to October 31: 10:00, 11:00, 12:00, 14:00, 15:00, 16:00 and 17:00. 1 November to 31 March: 10:45, 12:00, 14:00 and 15:30. Visit free concert at 16:30. Provide a period of time for the tour and concert. Price: 11,50 €. Free for children under 7 years. The cave is not wheelchair accessible. 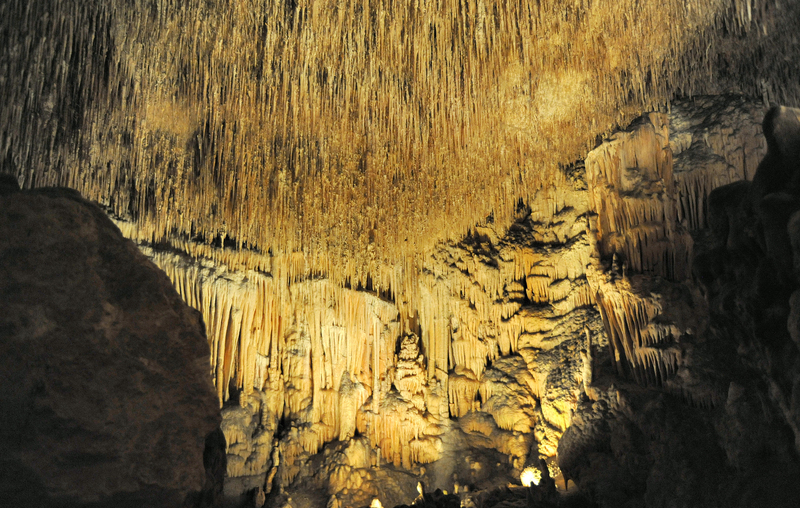 Also note that claustrophobic people only support it difficult to enter the caves. In this natural setting, yet the photographs are strictly prohibited (No foto! No foto!…).